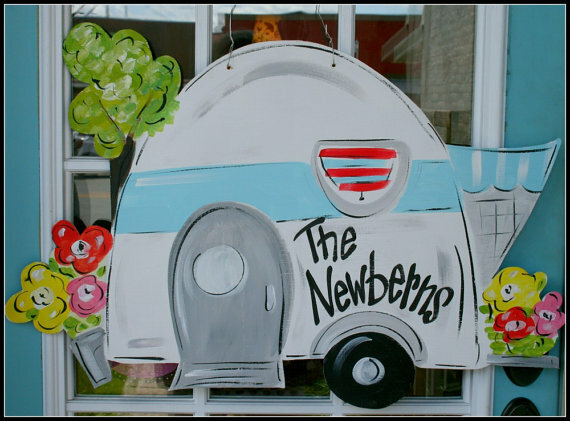 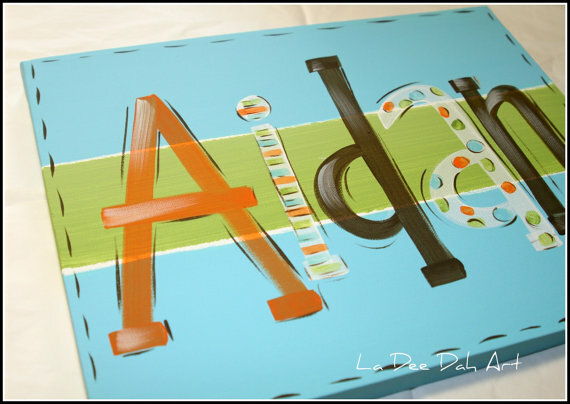 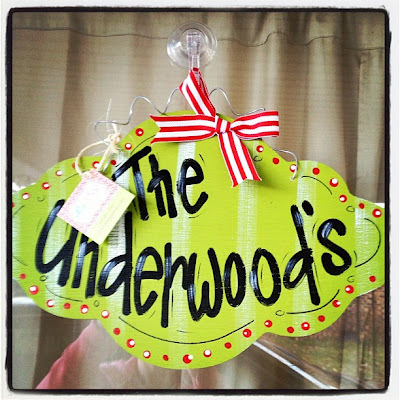 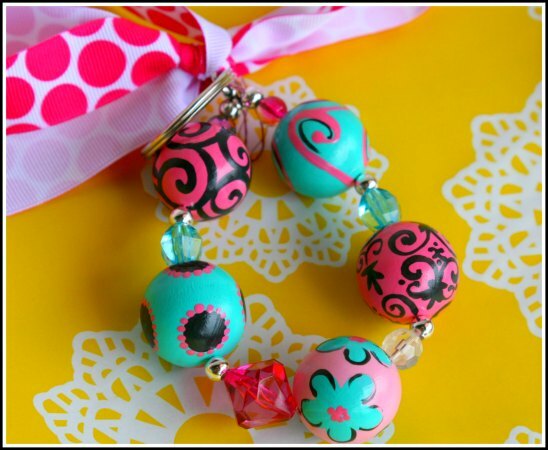 An Artsy Gift Boutique with a variety of happy, colorful items including wall art, fun & funky jewelry, t-shirts and lots of monogrammable and hand-made items. These Hair bow holders are too cute! 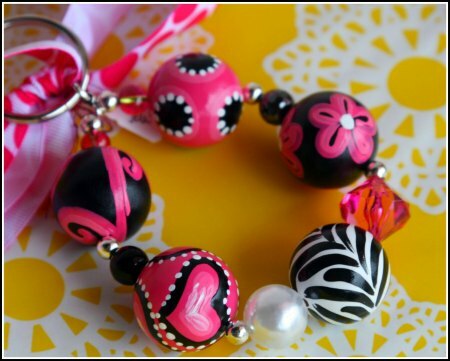 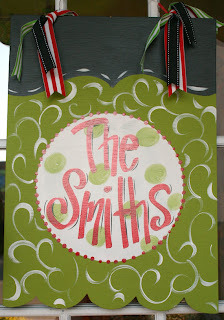 I want one of these hand painted key chains!!!!! 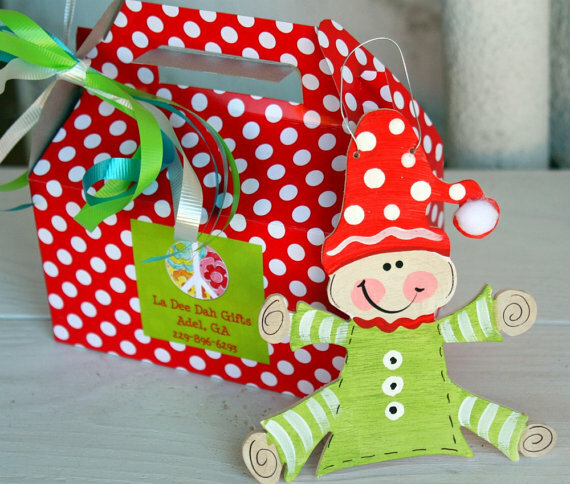 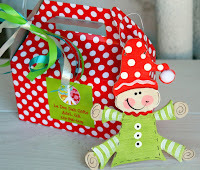 Don't forget about the ADORABLE Christmas items!!! 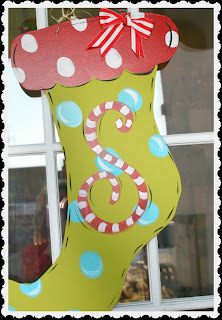 Lookie what I got to review!! 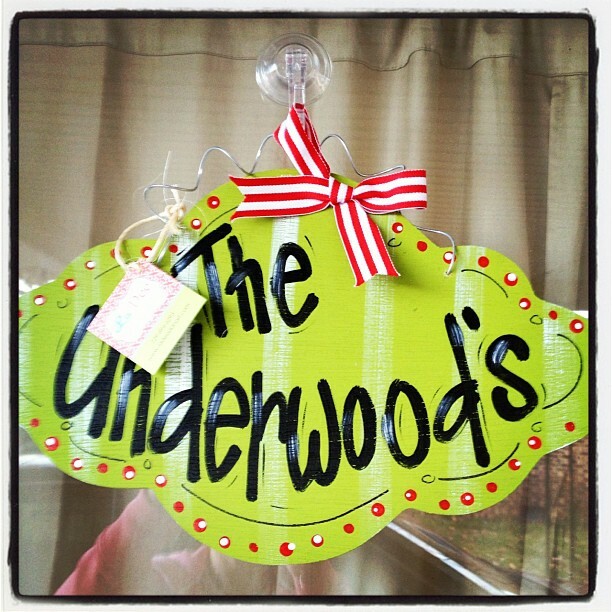 I get so many compliments on it! 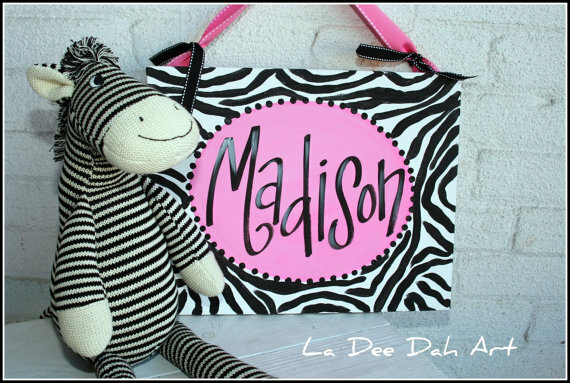 It's just too cute! 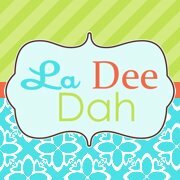 You can win a $50 Gift Certificate to La Dee Dah! Love the Large Camper Wooden Door Hanger. 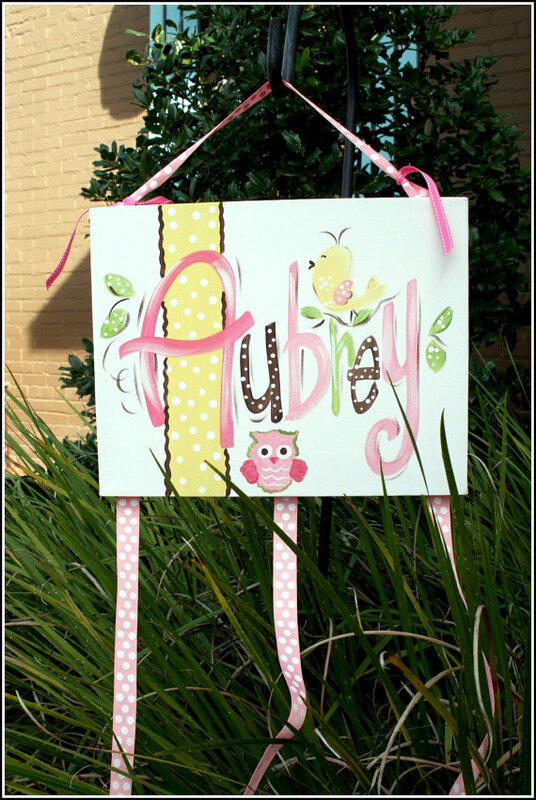 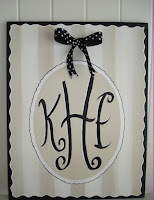 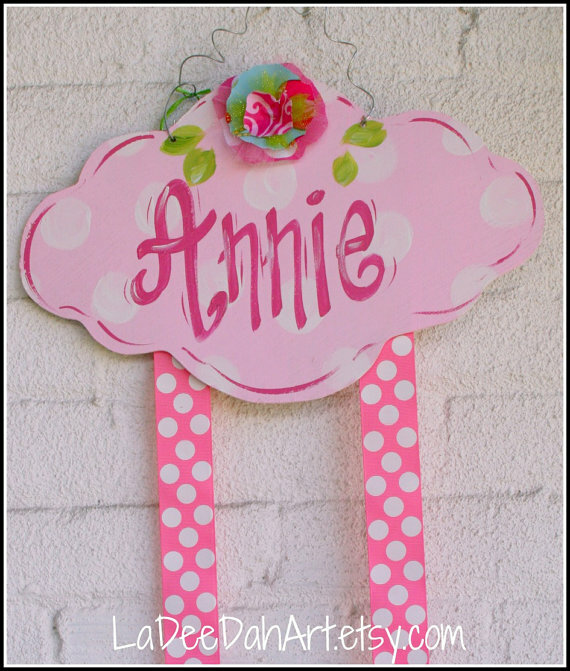 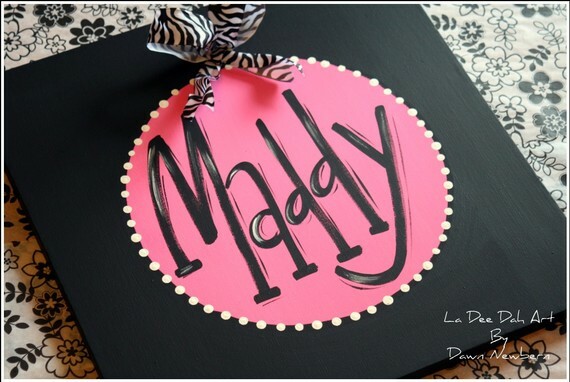 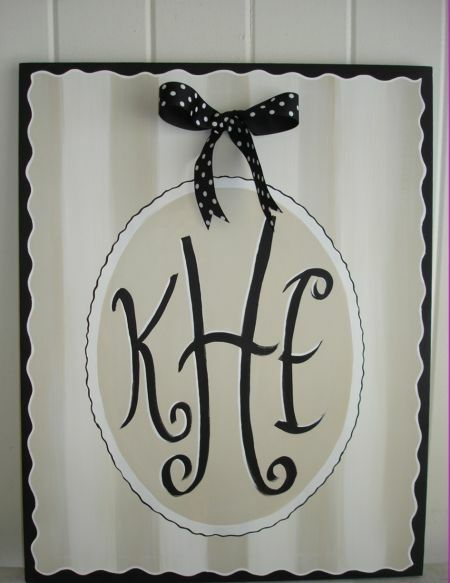 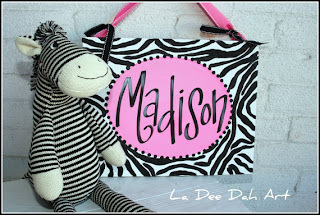 Love the handpainted name in hot pink and black! 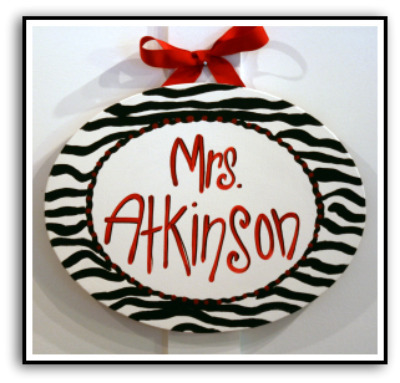 The zebra ribbon really adds pizzazz! 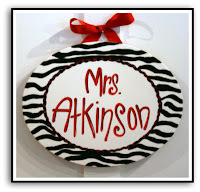 I like the oval teacher sign! 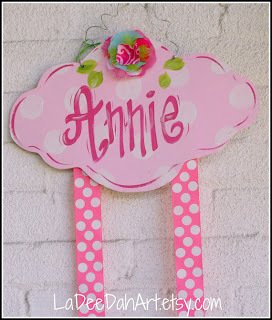 Love the upcycled cabinet doors. 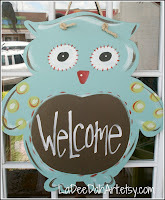 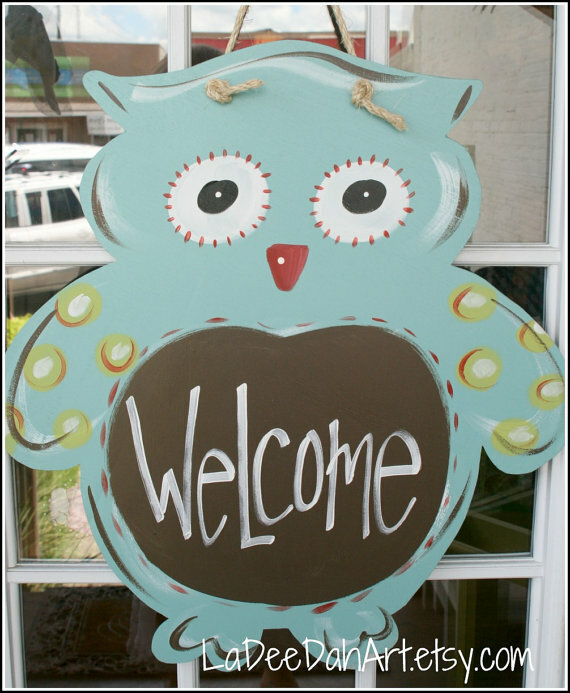 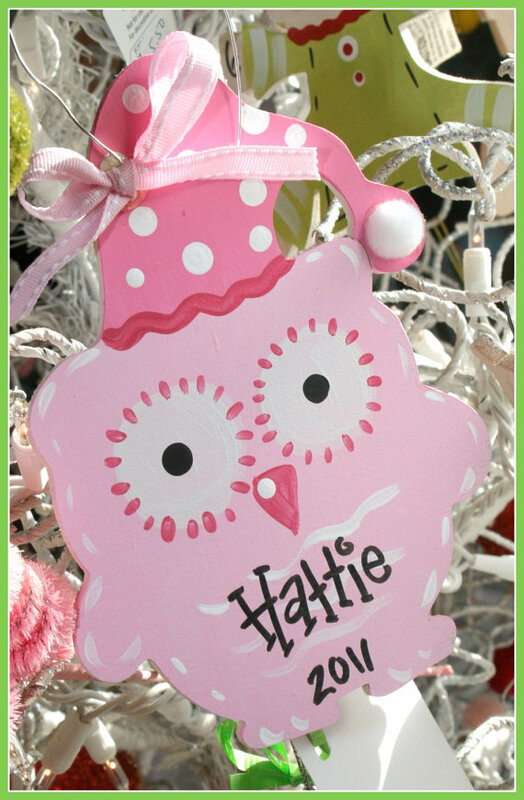 I like the READY TO SHIP Large Owl Door Hanger with Chalkboard. 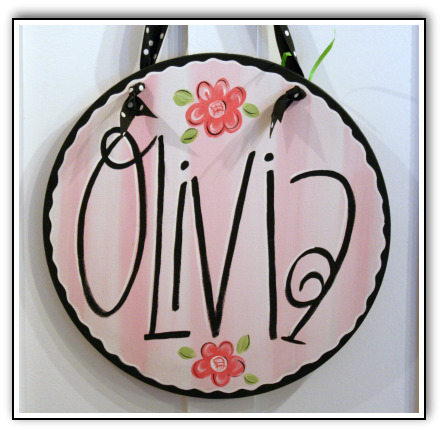 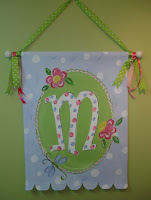 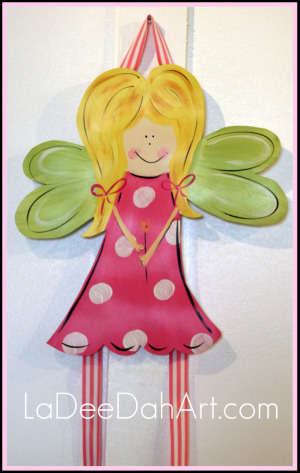 I love the Katie canvas- perfect for a little girl!